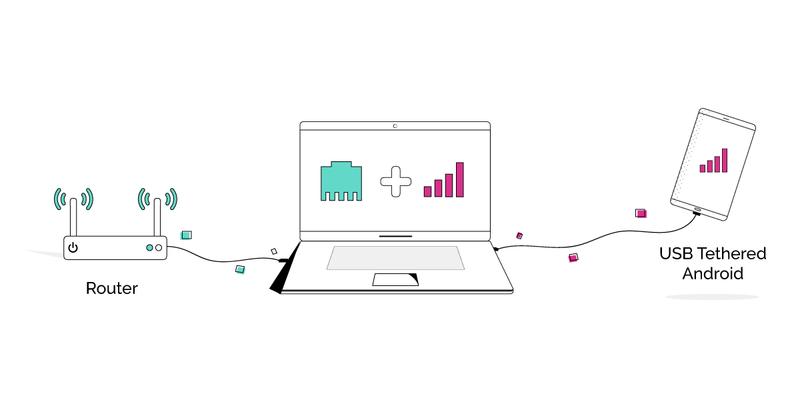 With Speedify, it’s easy to combine your Android connection with an Ethernet connection on your Mac. In this article, we are going to walk you through how to do it. Step 1: First, connect to your Ethernet connection. Some older Macs come equipped with an Ethernet port, but most will require you to use either a Thunderbolt-to-Ethernet or USB-to-Ethernet adapter. Once you have connected your Ethernet cable to your laptop, plug the other end into your modem or router. In most cases, you will connect to the internet automatically. If not, proceed as follows. 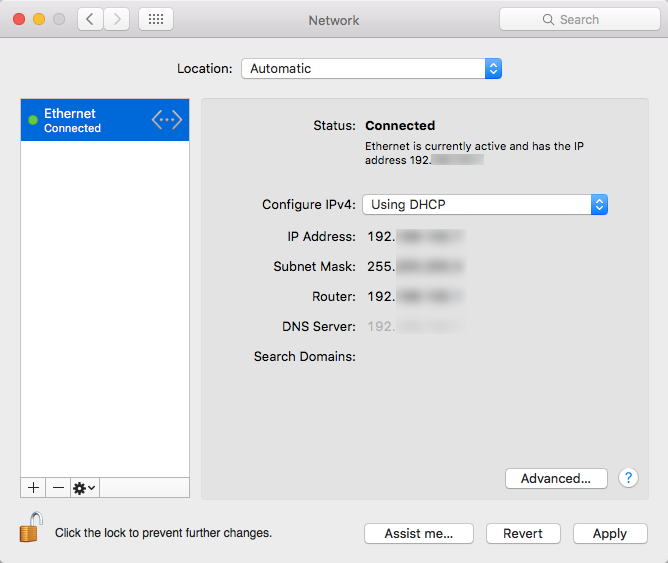 Step 2: Click the Apple menu and select System Preferences; then click Network. Step 3: Select Ethernet from the list on the left, keeping in mind that it may be named according to the adapter you are using. Step 4: Click the Configure IPv4 pop-up menu and choose your ISP’s recommended configuration method. You can read more about these configurations here. Step 5: Under Advanced, click DNS. Then add a DNS server using the + button. Enter the IP address of your ISP’s DNS server. Step 6: Click Apply to activate these settings. Step 7: Now, it's time to connect to your Android connection. Android devices that use Sim Cards (like Smart Phones and Tablets) can use a 3G, 4G, or LTE connection; by tethering, you can harness that connection as an additional internet source. Once you have connected your Android to an internet source, you can start tethering your Android to your Mac via USB, Wi-Fi, or Bluetooth. Step 8: Combine connections by turning on Speedify. 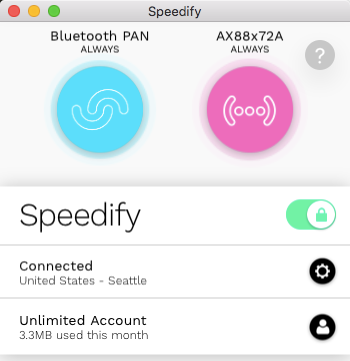 When you launch Speedify, the software automatically detects the Ethernet connection of your Mac and Android connection. You will see them each contained in a Connection Bubble near the top of the Dashboard.